Surprisingly hydrating given its featherweight formulation, this daily cream helps to bolster skin’s moisture barrier, sealing in hydration to protect and soften skin. 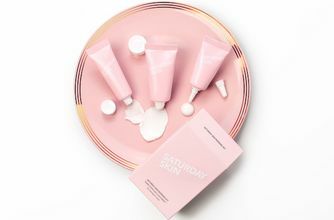 Saturday Skin’s signature 'Cha-7 es Complex' (an exclusive peptide formula that promotes skin's natural regeneration process) combines with strengthening avocado protein to leave your complexion youthfully firm, plump, glowing and, of course, silky-soft. 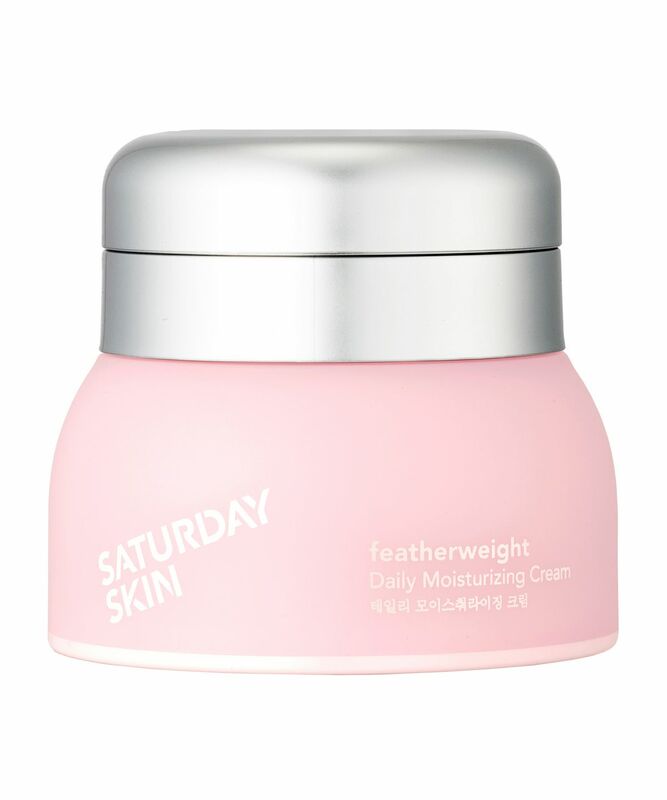 Lightweight yet luscious, Saturday Skin’s Featherweight Daily Moisturizing Cream delivers impressive hydration without overburdening skin, leaving you free to glow for it. Enriched with Saturday Skin’s signature Cha-7 es Complex (an exclusive peptide formula that promotes skin's natural regeneration process) the cream increases collagen and elasticity while reducing melanin production to promote a flawlessly even complexion. Alongside this advanced complex, avocado protein helps to reinforce skin’s moisture barrier, sealing in hydration to protect and soften skin, while date, fig and grape extracts and a cocktail of citrus fruits (including lemon, orange and grapefruit) target signs of early ageing by improving your skin’s texture and tone. Your skin will look firm, plump and silky-smooth – plus the convenient (and hygienic) airtight packaging means you simply pump to release the protected formula. Pump twice to release cream. Swipe it onto fingers and tap cream into your skin in an outward motion. Not enough for my dry skin. I really liked the texture when trying it but it didn’t do wonders to my skin. It’s just a little bit too little of moisture (probably perfect for someone with mixed skin!). It’s not awful, my skin didn’t break out, but it’s not as glowy as Caudalie’s Vinosource Sorbet. I really like this stuff. Feels lux without being heavy and leaves my combination skin feel young and happy. Great under make up. Also love the smell and the packaging. I really wanted to like this but it's not hydrating enough for my skin type. when I applied this felt nice but after a few hours my skin felt tight and thirsty again. I really get dehydrated in the winter time so this maybe will work for me during summer. I love this cream! 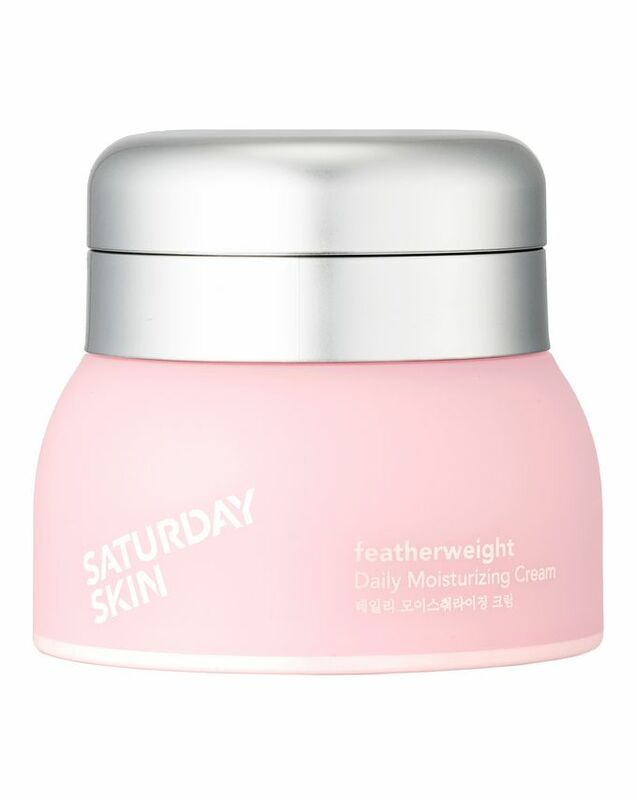 I bought the sample pack of saturday skin products and LOVE this particular product the most. I use it at night, as the last step in my skincare regime, and this leaves me waking up soft and clear. I absolutely love this moisturizing cream. It truly is light and not sticky, but offers great moisture. My skin is extremely sensitive and this does not cause any burning or irritation and provides moisture to my very dry skin. Cant recommend it enough! The instruction says 2 pumps but 1 pump would suffice because I find this moisturizer quite rich! But not too rich that it leaves your skin greasy. It just left my face so comfortable.